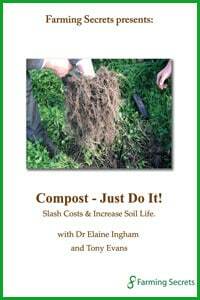 Home / Farming Secrets Store / Compost and Compost Teas / Dr Elaine Ingham – Compost – Just do it! 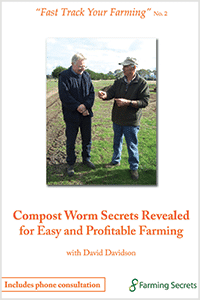 World leader in practical, farm friendly, soil microbiology. Established 12 Soil Foodweb (SFI) laboratories worldwide. Now millions of acres being farmed under her system. Listen as she talks to 270 keen farmers who gathered to hear her principles. It is these principles that had the local farmers slash input costs by over 50%, increase production, pasture and animal health. 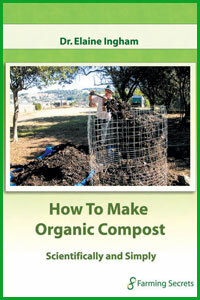 The take home message was COMPOST to get the soil life going. 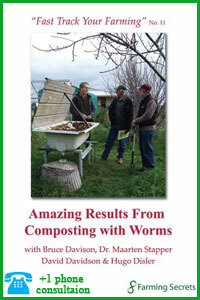 Can farming be so simple? 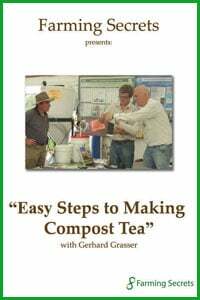 Introduction by Tony Evans who makes compost onfarm with dairy farmers.